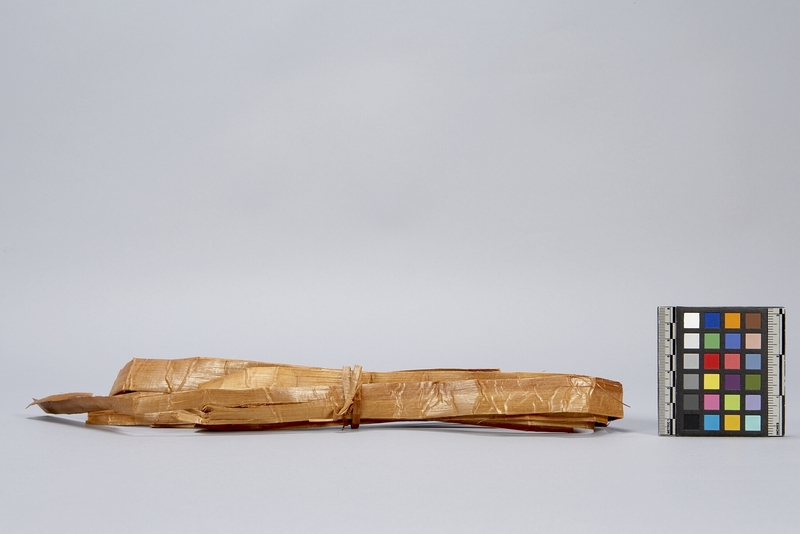 Item number Nb597 from the MOA: University of British Columbia. 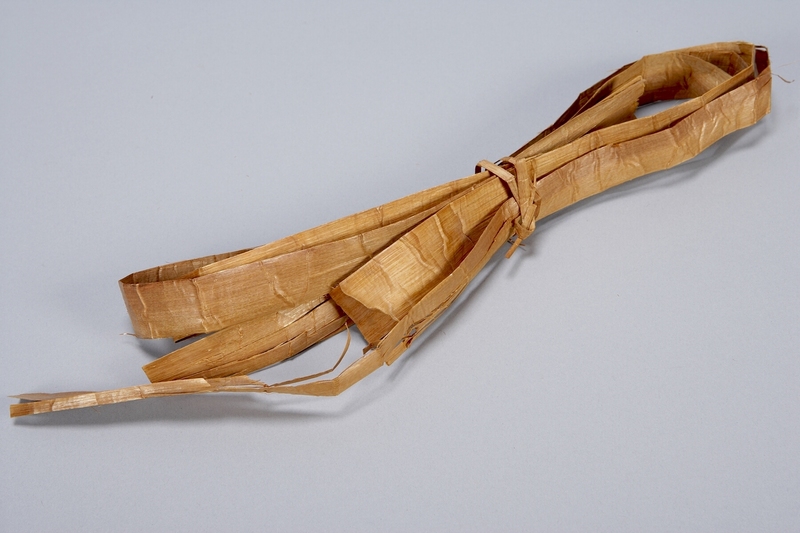 Strips of inner cedar bark wound into a single bundle and bound together by a small strand of cedar bark. Used for making baskets, matting, cordage, etc.